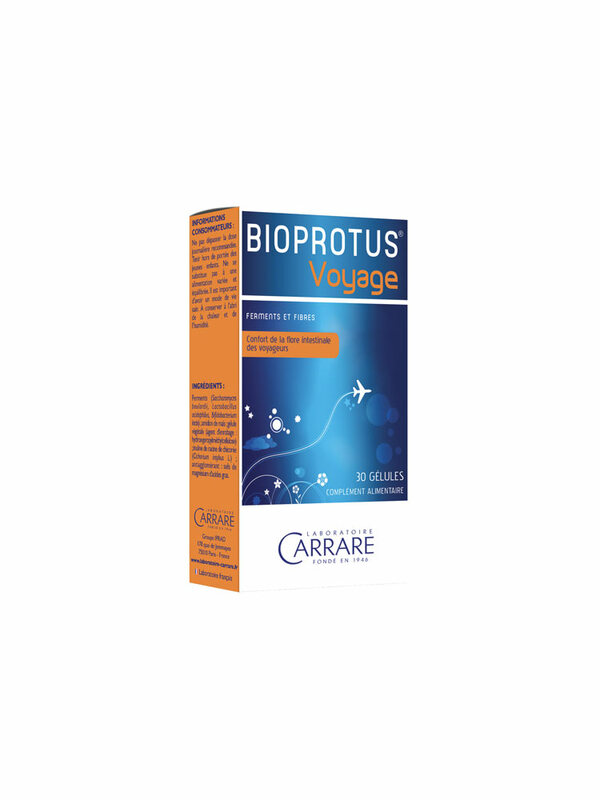 Laboratoire Carrare Bioprotus Travel 30 Capsules is a food supplement in form of capsules, based on ferments and fibers. When traveling, the intestinal flora can be put to the test by various factors such as jet lag, climate change or diet. This food supplement is ideal for people who travel. One week before departure (to prepare the flora): 1 capsule per day. - In maintenance: 1 capsule per day. - In case of emergency: 2 to 6 capsules a day. One week back (to get used to the flora): 1 capsule a day. To be taken preferably during a meal. To renew as needed. Do not exceed the daily dose. Keep out of reach of young children. Ensure a varied, balanced diet and a healthy lifestyle. Keep away from heat and moisture. Suitable for vegetarians. Guaranteed without preservatives, without gluten, without GMO. 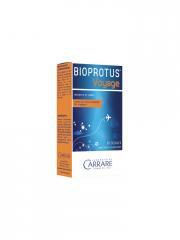 Indication: Comfort of the intestinal flora of travelers. Ferments (Saccharomyces Boulardii, Lactobacillus Acidophilus, Bifidobacterium Lactis), Amidon de Maïs, Gélule Végétale (Agent d'Enrobage : Hydroxypropylméthylcellulose), Inuline de Racine de Chicorée (Cichorium Intybus L.), Antiagglomérant : Sels de Magnésium d'Acides Gras.